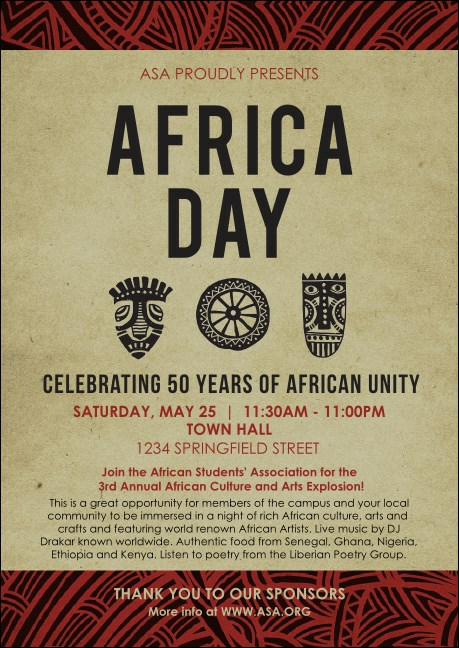 Convey the rich heritage of Africa with the African Theme Club Flyer. Deep shades of red and brown are set off by a backdrop of rich wheat tones, textile-like patterns and tribal-style graphics. Communicate volumes with 16 lines of event details that will leave no question unanswered. Have a successful mailing with the right club flyer from TicketPrinting.com.